The Indians gave infielder Brad Miller a roster spot right at the end of spring training, hoping he could fill the void until Jason Kipnis was ready to return. Kipnis will return Monday when the team starts a series in Seattle, and Sunday Miller was informed that he was being designated for assignment, which was basically the plan all along. Miller though, as one would expect, wasn’t exactly thrilled with the news when told by the team. The second basemen actually was one of the few players on the team that carried a decent average through the first 15 games (.250) with one homer, three RBI’s and a stolen base. In Miller’s eyes, it should have been enough to at least stay on the roster, but instead, the team decided to simply cut the cord. Miller didn’t hold back on thinking that the team is making a mistake letting him go. “It’s a tough trend,” said Miller via Cleveland.com. “They acknowledge that it wasn’t fair. But I’m just a player. I go out there and play my hardest and play for the guys next to me. 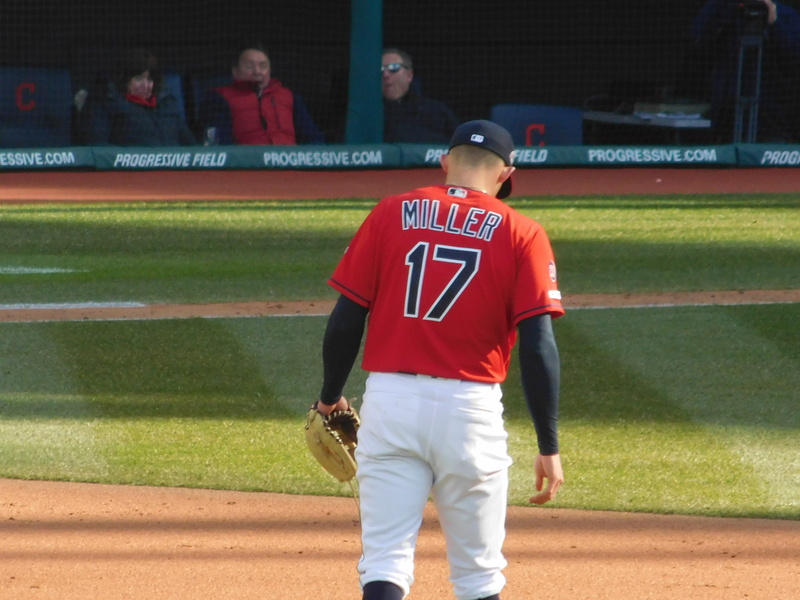 No one doubted that Miller did what he could to help the team, but part of the issue is that Kipnis will get the playing time, and if Miller would have stayed on the roster 45 days he would have made a million dollars. While Miller is right in that it’s not fair, it’s part of the game, and for the Indians in a season in which they are being careful with the budget, it just makes sense that Miller had to be sent packing. I can understand his frustration but the MIL he would have been paid can go to whomever for whatever position we need most, He was advised he was a seat filler until Kip’s return…he should not have hurt feelings. It was a business decision pure and simple.